Hiromi: The Trio Project will perform on Monday, Sept. 28, at 7:30 p.m. at the Broad Stage at the Santa Monica College Performing Arts Center, 1310 11th St. in Santa Monica. 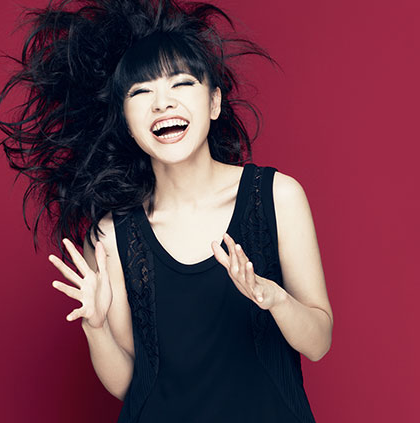 Since the 2003 release of her debut album, “Another Mind,” Hiromi has electrified audiences from East to West. Her emotionally complex sounds, high-velocity piano playing, and dangerous swagger have made her a Broad Stage favorite since she debuted there in 2012. “One of the most exciting groups working in any genre today” (DownBeat Magazine), Hiromi and her Trio Project are back for a genre-defying exploration of classical music, rock, and jazz soundscapes. Featuring Anthony Jackson on contra bass guitar and Simon Phillips on drums. Jazz pianist/composer Justin Kauflin will be the opening act. Tickets are $65, $80, and $105. For more information, call the box office at (310) 434-3200 or visit www.thebroadstage.com. Visit the artist’s website at http://hiromimusic.com.